Photo by Tuckys Photography, courtesy of Esplanade Theatres on the Bay. 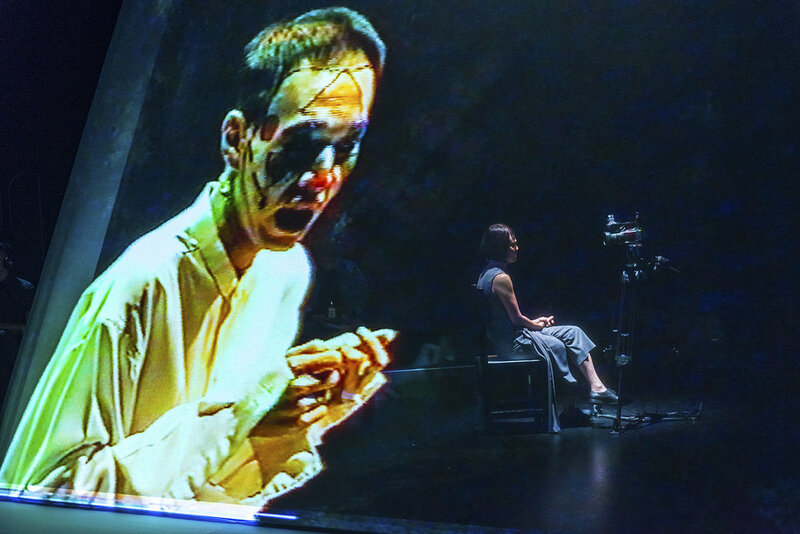 In 1999, The Necessary Stage presented Completely With/Out Character, a docu-theatre monologue devised by Paddy Chew, in collaboration with playwright Haresh Sharma and director Alvin Tan. The monologue was a candid account of Paddy’s experiences as the first individual to come out as a person living with HIV in Singapore. 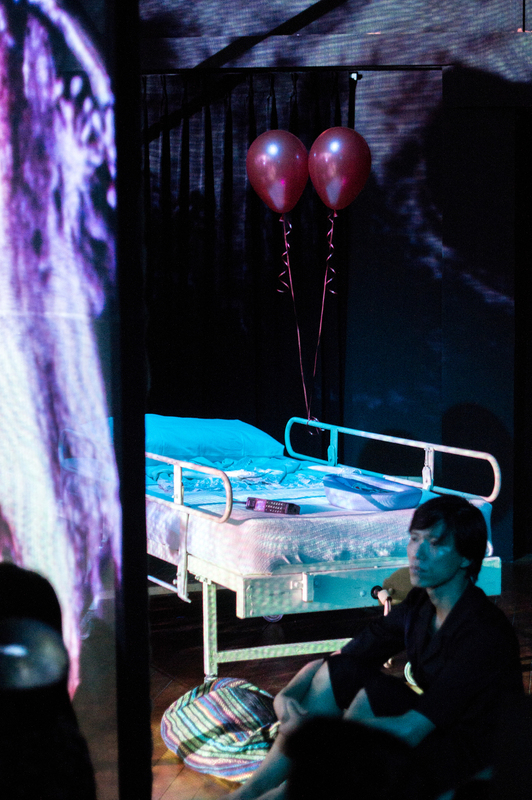 With/Out is an interpretation of Paddy’s monologue, conceptualised by artist Loo Zihan. 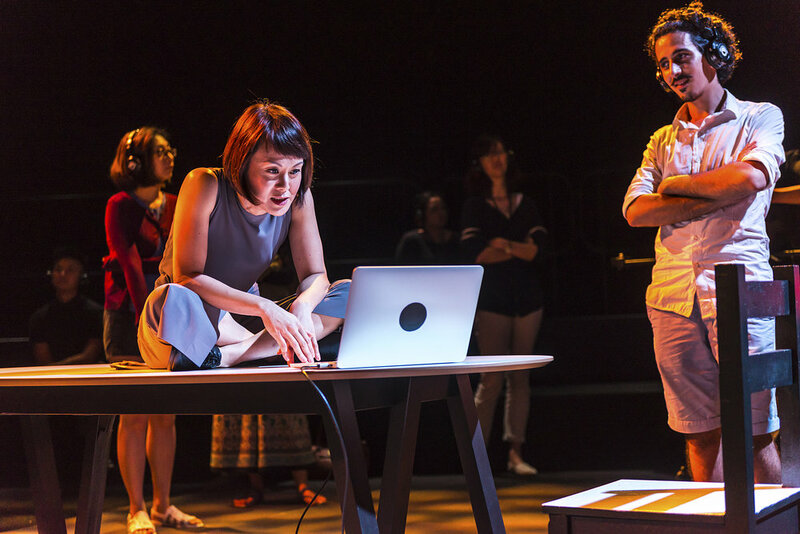 It was first presented in 2015 to rave reviews as part of the M1 Singapore Fringe Festival. 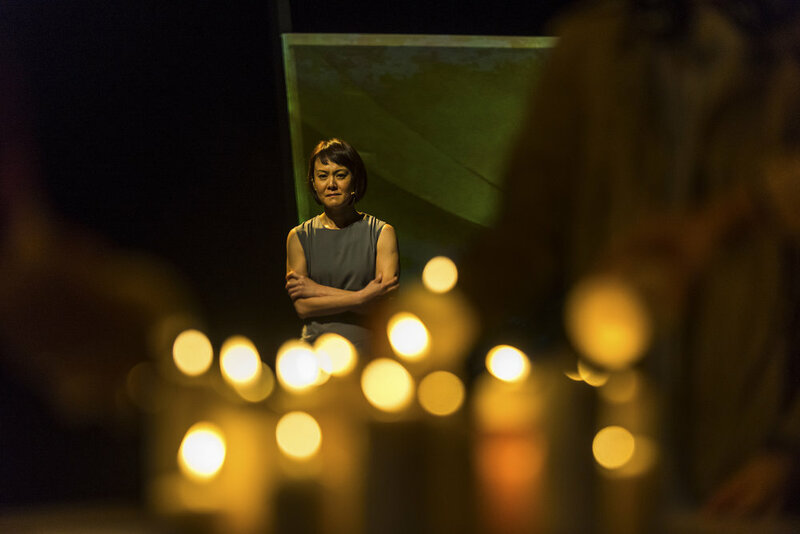 This 2017 commission by Esplanade Theatres on the Bay -The Studios series presents a reimagining of this monologue, and examines its relationship to the written and video documents. 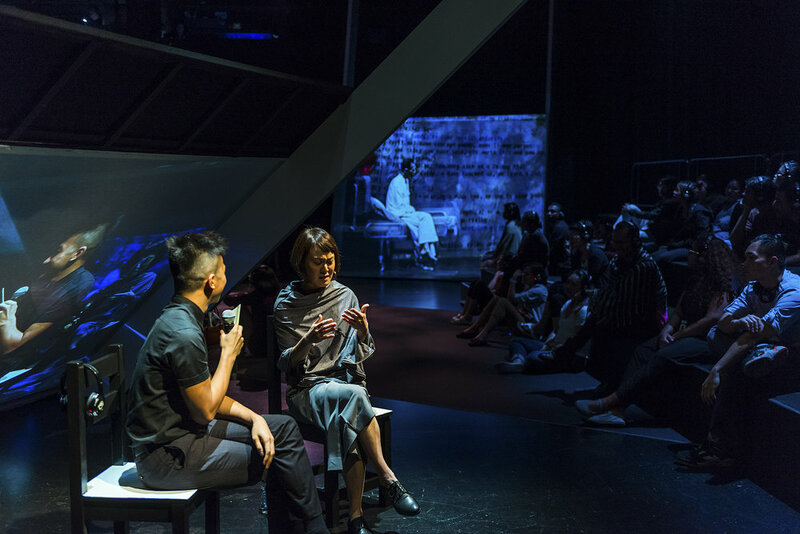 With/Out was first developed in residence at Centre 42, and commissioned by the M1 Singapore Fringe Festival in 2015. Zihan monitoring the 'live' stream of the performance. In May 1999, The Necessary Stage worked with Paddy Chew to stage a monologue titled Completely With/Out Character at the Drama Centre on Fort Canning Hill. The docu-theatre piece records his experience as the first person in Singapore to come out publicly with his HIV-positive status. Unfortunately, Paddy passed on in August 1999 a few months after the production’s conclusion. In 2015, AIDS is no longer perceived as a terminal disease; HIV-positive individuals can lead a relatively normal and healthy life with the aid of advances in medication. In part, this is due to the roads paved by individuals and researchers who came before us, individuals like Paddy, who defied convention and conservatism to tell his story at a time when there was still much ignorance and prejudice surrounding AIDS. With/Out is a faithful interpretation of Paddy's monologue. 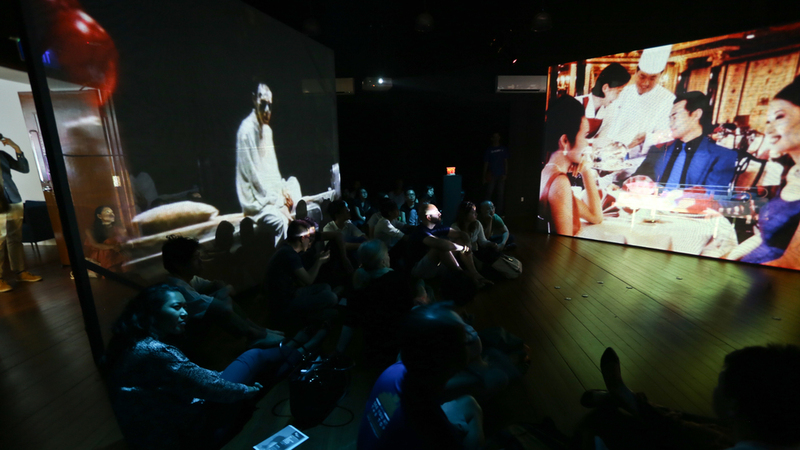 Through the use of multi-media, video documentation and other archival material, Loo Zihan re-constructed the production as an extension of his research into performance re-enactments, the mediation of a 'live' presence via the use of technology, and the re-visioning of queer histories in Singapore. 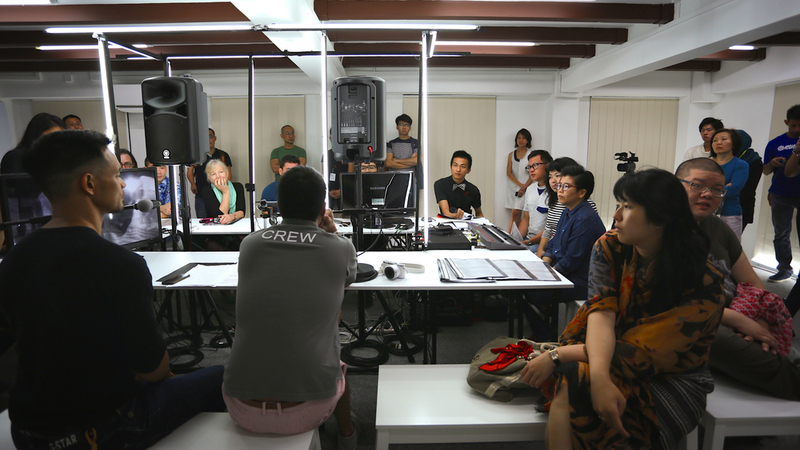 The performance space was divided into two areas - a black box that is sited above a white cube. 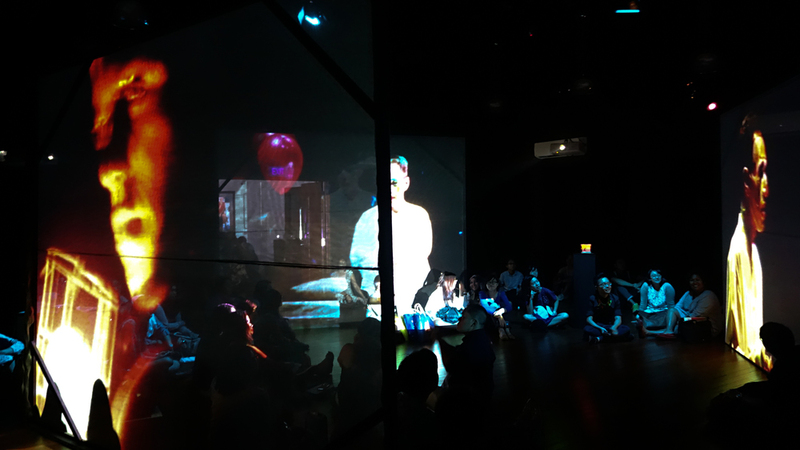 In the black box the audience encounters a three-screen synced video projection of various archival documents that span the length of the 1999 production documentation. In the white cube, a reader performs a transcript of the text in cadence with the production video documentation. Each evening features a different reader and the performance is streamed 'live' online for a virtual audience, an archive of the webcast is available here. With/Out was developed in residence at Centre 42. 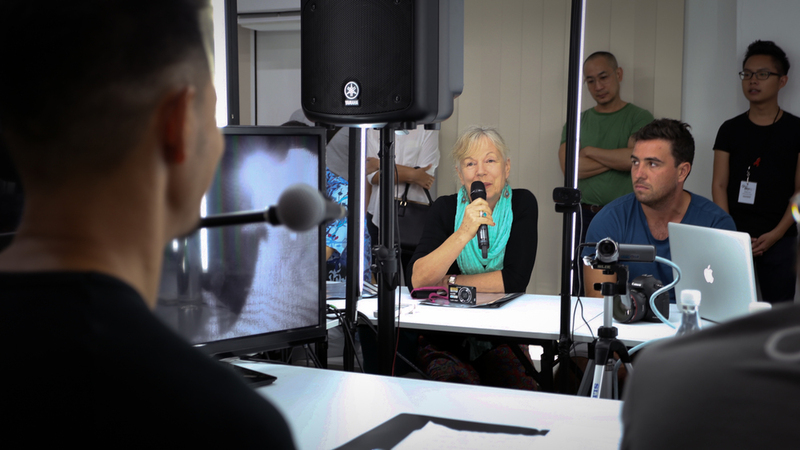 Click here for an interview on With/Out with Singapore Poetry website.